1 What Are The Best Recumbent Exercise Bikes For Heavy People And Should You Buy One? What Are The Best Recumbent Exercise Bikes For Heavy People And Should You Buy One? When it comes to losing weight as a big person, the traditional methods don’t always work or they are just too darn hard to physically complete. Which is why we can to start with exercises which are less stressful on our backs, knees and ankles. Recumbent bikes for overweight people are an excellent alternative to the traditional methods of ‘normal’ sized people. But are recumbent exercise bikes the best workout for heavy to obese people?. Yes and no. While recumbent exercise bikes are more enjoyable and can be less painful on our bodies, (in particular the joints and lower back) the majority of the workout is focused on the lower body. Of course you can implement changes to your routine for a full body workout such as holding light weights in your hands while riding and even imitating crunch style sit ups. As for burning calories and weight loss the recumbent bike does contribute a good amount. But in comparison to a Heavy Weight Capacity Treadmill, the recumbent bike falls short in quantity versus time. So you can burn fat faster as a large person quicker on treadmill when compared to the recumbent bike. But the treadmill can be more stressful on the impacting areas of the body if you’re a plus size person. As we are all different and have various exercise restrictions there is no one is better than the other scenario here. 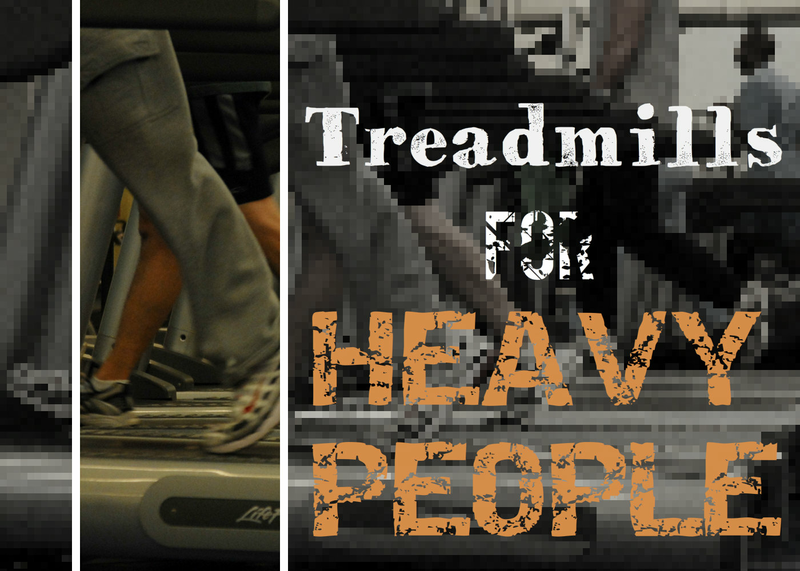 Both the treadmill and the recumbent exercise bike have their place in the heavier person’s exercise routine. But for today we are going to be digging deeper and finding what we think are the best rated recumbent bikes for overweight people. Which include high weight capacities to meet our required weight needs. If you’re just outside the weight capacity of a standard recumbent exercise bike (200-250 lbs) and in need of a 300 pound weight limit bike with all the bells and whistles. A true workhorse in the industry that will handle just about anything you throw at it?. Then I think you may appreciate the Diamondback 510SR, and your body may as well. However it is a little pricey, but totally worth every penny in my eyes. 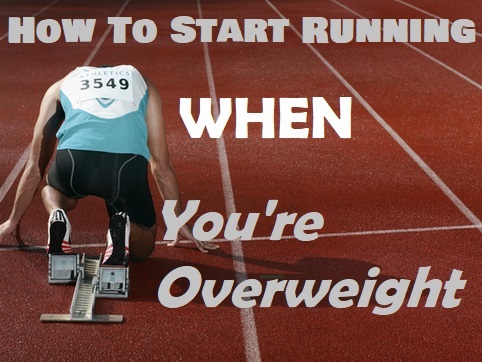 Especially when you’re an over sized guy wanting a pretty comfortable way to loose some weight by exercising. The actual seat is very generous and should cater to many bigger back-sided people and it just looks super comfortable. Yes the seat does adjust and I’d say it could suit people between 5 foot and 6’6″ from my experiences. Overall, if you have a few hundred bucks to spend on a high quality exercise bike, then the Diamondback is a good bike to consider. Diamondback are makers of multiple road/tour bikes and have the technology to bring this high standard into it’s recumbent bikes. It’s a exercise bike that kind of feels like riding a real bike, it’s that smooth and blissful I find. Combine this ease of use and comfort with the features like: user friendly LCD monitor/programs, cooling factors (mesh backing, built in fan), and a 300 pound weight capacity rating, you’re left with one good recumbent bike. Proform gets our Editor’s Choice Award for best value for money when looking to buy a heavy duty recumbent bike. For a decent price, you get a high weight capacity exercise bike, (350 pounds) but this hybrid exercise machine by Proform also doubles as an Elliptical workout. But how does this 2 in 1 exercise bike hold up for heavy people. Lets find out. Firstly what we love about the Proform Hybrid Trainer is how gentle the workouts are. Low impact exercising which is ideal for us bigger guys and gals. Plus with the Elliptical workout you are also getting upper workout at the same time unlike conventional recumbent bikes. Now before we go any further, you must understand that this bike is for home use, it’s not a Gym quality machine, which is fine considering it’s not priced over the top in our opinion. However don’t go into this expecting a Gym quality 24 hr a day exercise bike because you will probably be disappointed. Although, it’s very adequate for the common home usage by a 350 pound person. If you’re after a 350 pound capacity commercial quality recumbent exercise bike visit the Sole Fitness LCR Bike. When you read the assembly instructions for this Hybrid bike, it clearly states to use adequate amount of grease on the required parts. Otherwise the bike will eventually make a squeaking noise and you my think the bike is broken. But it may not be, you must be generous with the grease and periodically re-grease the required parts. Like anything valuable, maintaining good maintenance should extend the life. As for assembly, I highly recommend you have 2 people go at this. Life will be much easier with an extra pair of hands. As for comfort, the recumbent seat is rather enjoyable to use and very smooth. Switching over to Elliptical is a breeze as well, just like adjusting the pedals to suit your height. Only negative I could say about the elliptical is the strides aren’t long enough for tall people, however if you’re shorter than me, you will find the stride length probably perfect. A great piece of heavy duty exercise equipment at a reasonable price. When you get into the 400 lb weight capacity range, you may find it hard to buy home use recumbent bike. This weight range seems like it is mainly for commercial use. Hence why they are usually more expensive. In saying this, if you can afford a more expensive piece of equipment, normally it’s of higher quality. 16 different friction ranges to cater most peoples fitness levels. Simple to use LCD monitor which tracks various tasks such as: calories burned, speed, total distance etc. Comfortable extra large seat with adjustable foot pedals. Built in fitness programs: 8 to choose from including weight loss and heart rate monitor. The Fitnex recumbent bike appears well built and has a sense of quality and functionality. A high weight capacity makes this bike ideal for big people wanting to get their work out on. As recommended by HCI Fitness, the PhysioStep MDX recumbent elliptical. Do your due diligence and research the product. Below you can find a short video testimonial. Hello. The information provided is quite useful and educational. However, you might want to redo the video so that Shawn Cole is not seen bracing against the wall before each comment segment. The bracing against the wall action detracts from the information being provided. Otherwise, it is a great video. Hi Sarah, thanks for your feedback. The video just above is intended to help people who may have become overweight and never used a recumbent exercise bike before. 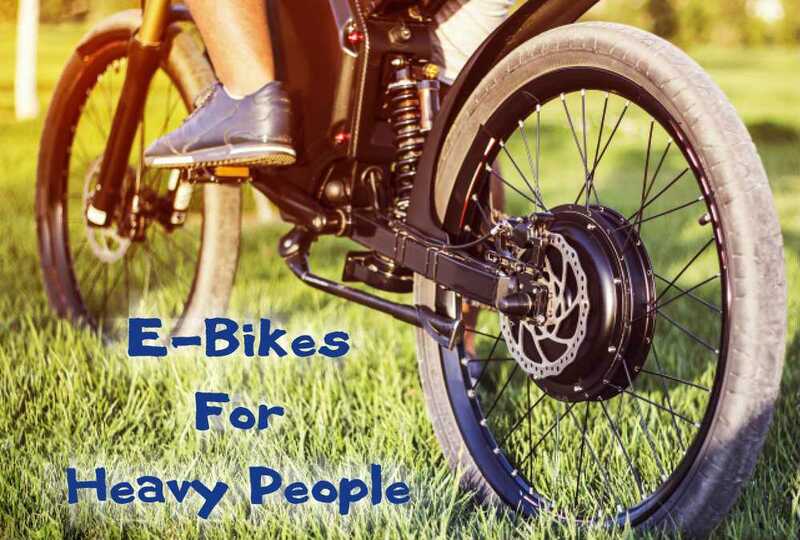 So people can see how the bikes actually work and to find out whether a recumbent bike is best suited to their needs. Thanks again. Hi…thank you for this…very helpful! You said if someone is shorter than you, it would probably be perfect…how tall are you please? We are considering buying the pro form but had read a few negative reviews…the wider pedals are essential for our post stroke family member. Thanks! Hi Sandy, I’m 6’2. Have you looked at the many Questions & Answers about this bike. It will give you great insight and perhaps details about the ProForm that you haven’t thought about. One can find negative reviews on just about any product, sometimes it’s luck of the draw. But it’s important to make sure the majority of reviews aren’t negative about a similar problem. This is a good sign that it’s not just a one off faulty machine. But it’s really good that you are doing your research and reading multiple reviews. Best of luck. I’m trying to help a friend choose an exercise bike that will work for him. He weighs 425lbs and is 5’8″ and a walk to the mailbox and back is a workout for him now. He needs something easy to operate so he won’t become discouraged. I read reviews on this one and there was mention of having to lean forward while pedaling to do the settings. That might be a challenge. It is not listed here, but the PhysioStep MDX recumbent elliptical has a 500 lbs. weight capacity. The elliptical motion is low impact and makes it super easy to get moving and motivated. Unlike recumbent bikes the recumbent elliptical motion is much more comfortable and allows you to workout in a more comfortable reclined position for overweight individuals. Check out this inspirational weight loss video for the PhysioStep MDX! I hope that this helps your friend! Please people, I am very serious! This information was very helpful. I am 6′ and husband is 6’1 and almost 350#. The Proform seems like the best option. 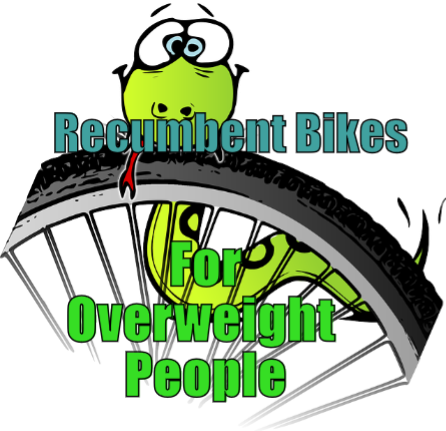 Hi, I’m looking for a real recumbent bike for someone with a larger frame weighing approximately 350 lbs. I don’t want a stationary exercise bike. I want to get outdoors and get exercise and fresh air. I lost a lot of weight years ago riding a bike to and from work (13 miles each way). But I’ve had 10 back surgeries since then and now a regular bike and seat just won’t work. I’d appreciate any advice. Hi Jdawg, I’ve had a look around and these are the options I have found for you: 359 Lbs capacity 3 wheel recumbent found here: https://www.rehabmart.com/product/meteor-3-wheel-recumbent-tricycle-26771.html The other option is a 400 /lb Sun Seeker found here: http://www.industrialbicycles.com/sun-seeker-ez-3-usx I hope this helps you out. A friend has been riding one of this company’s standard/upright extra-strength bikes for a few years, says it’s extremely durable. They have recumbent 3 wheelers including a hand-pedal version. Plus made in NYC, USA! What is the best solution when you are in between a 350 and 400 limit and really cannot spend much more than 500 to 700 bucks for a recumbent bike? Hi Alan, I would always go for a 400 lbs capacity recumbent. Don’t risk buying one that has specified less than your actual weight. If anything happens, you wont be covered for warranty purposes. The problem is that the higher capacity equipment usually are more expensive as they need more reinforcing. I have found a much cheaper 400 lbs capacity. The Exerpeutic GOLD 525XLR available on amazon. 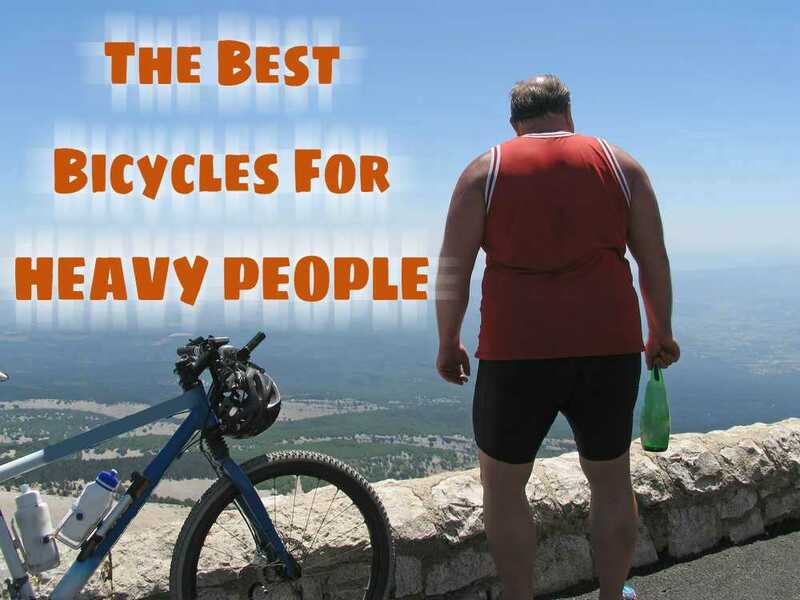 Be sure to read the reviews for other big users and make sure others have proven this bike can handle heavy weights. I know this thread is old but I wanted to know has anyone else in the 400lb capacity purchased the Exerpeutic GOLD 525XLR on amazon?? I was just there and found this page and was looking for more options but my circle looped me right back to the same bike. Lol No coincidence probably. Anyway wanted to see if anyone had any reviews on it here.